behavioural requirements can be challenging to maintain. 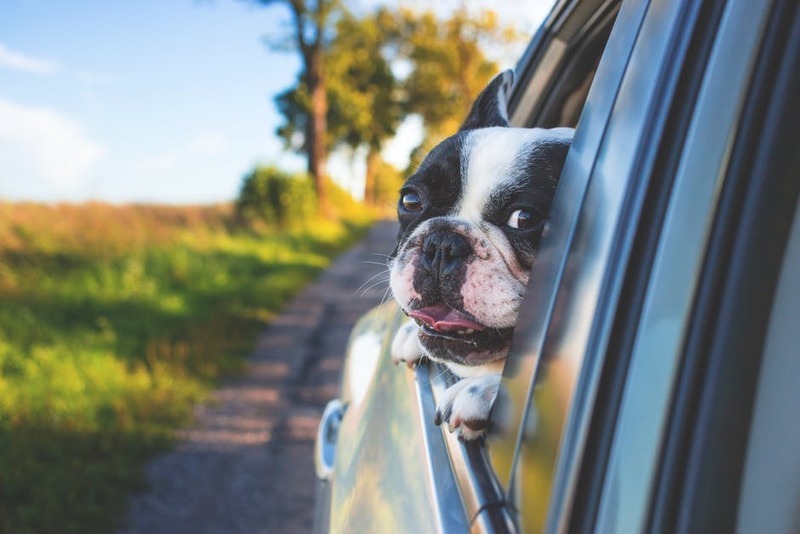 Unfortunately, we cannot say for certain what the laws and regulations regarding pet travel within the European Union will be after the 29th March 2019. It is recommended to treat all countries, regardless of their membership to the European Union, as outside of the European Union. 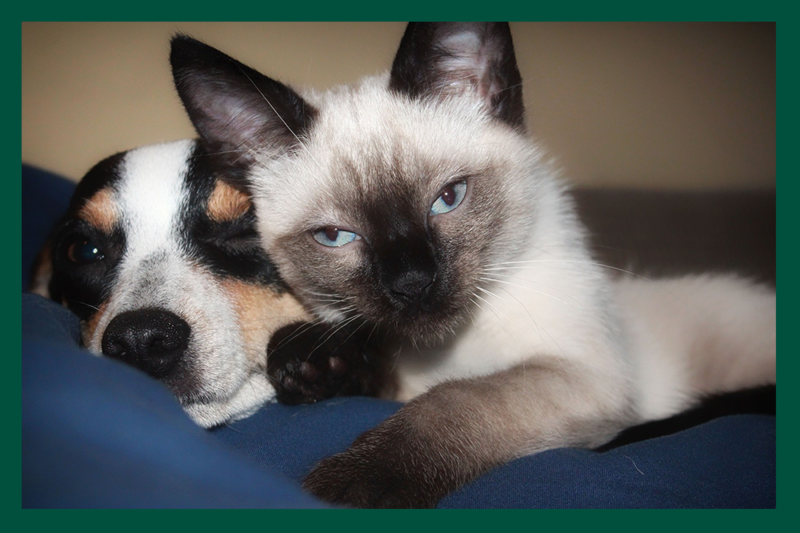 You must get your dog, cat or ferret microchipped and then vaccinated against rabies before it can travel. 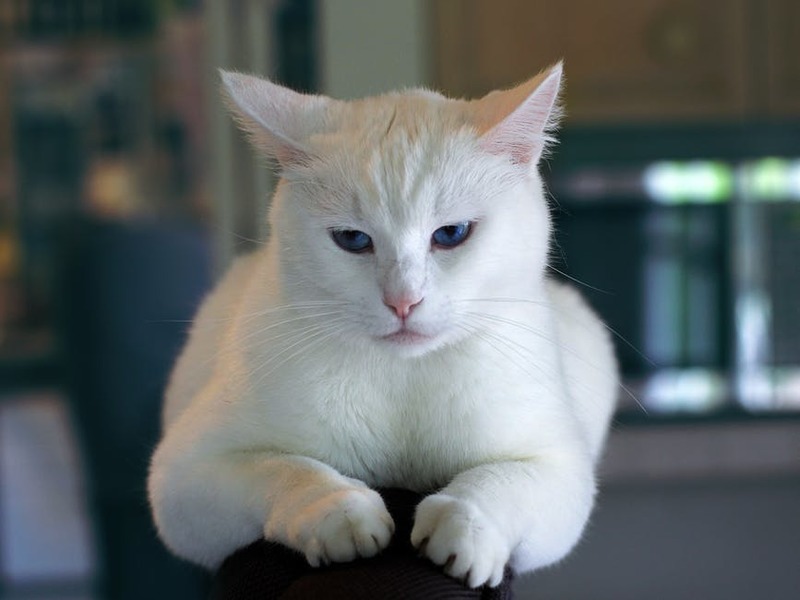 Your pet must have a blood sample taken at least 30 days after the rabies vaccination. We must send the blood sample to an EU-approved blood testing laboratory which has a minimum turnaround time of 2 weeks. If you have a dog or puppy, or plan to get one, it’s important that they have the correct environmental and exercise enrichment. Providing the correct enrichment is essential for their physical and mental health. Exercise enrichment allows puppies to socialise with other dogs and people, which is crucial to their behavioural development. What’s more, exercising with your dog or puppy is a great way for the two of you to strengthen your bond and be active together! 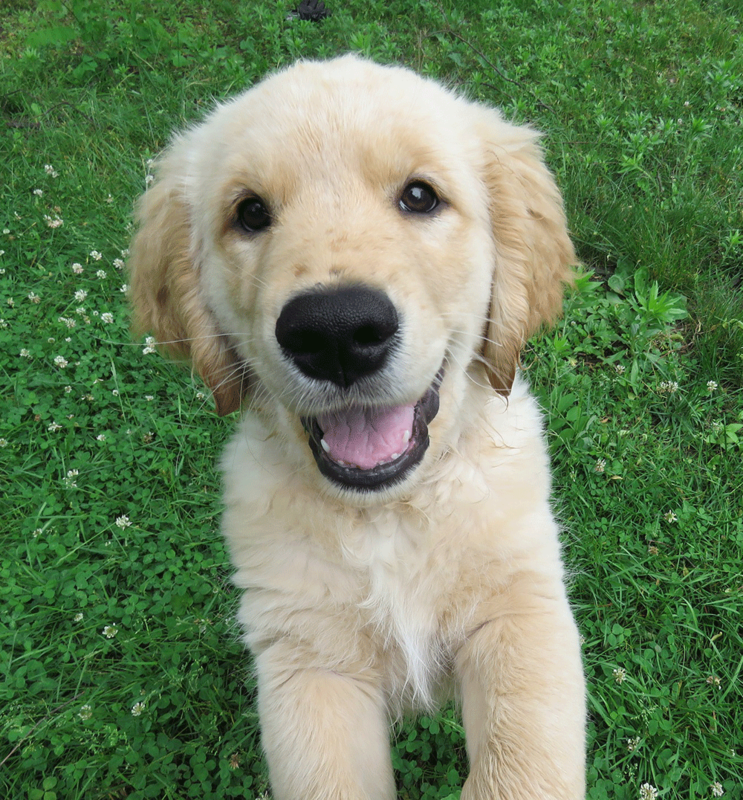 Assess the exercise needs and fitness level of your puppy. Dogs have different exercise requirements depending on their individual needs. Puppies need much less exercise than fully-grown dogs. Although, it can be tempting with a bouncy puppy, over-exercising your growing puppy can overtire it and damage its developing joints. As the year turns, the leaves fall, and the weather gets colder, it’s really important to make sure we’re prepared for the winter - especially as many forecasters are predicting another cold spell again this year. Our dogs and cats are mostly snuggled up warm indoors - but had you thought about the impact of severe cold weather on smaller pets? In this blog, we’re going to look at what you can do to help them make it through the winter in comfort and health. What do we mean by small pets? 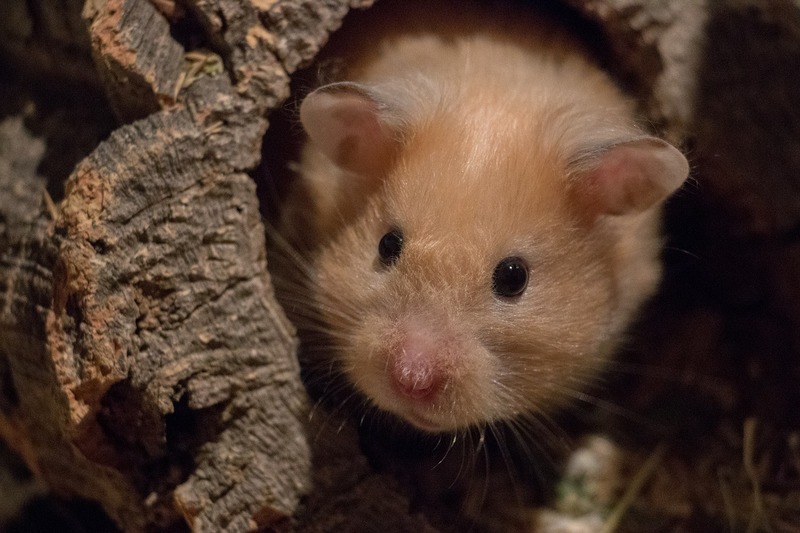 Also known as “small furries”, the term is mainly used to describe smaller pet mammals - rodents (such as guinea pigs, chinchillas, rats, hamsters, gerbils) and sometimes lagomorphs (rabbits). In this blog, we’re not going to be focussing on the needs of small pet birds, although their requirements are similar. Protection from the cold and the wet is absolutely essential. 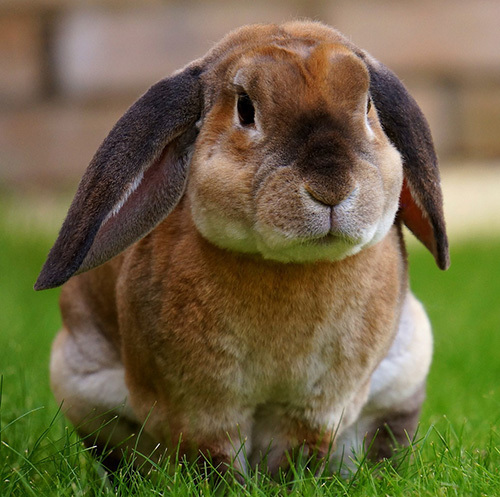 What is RHD in Rabbits? 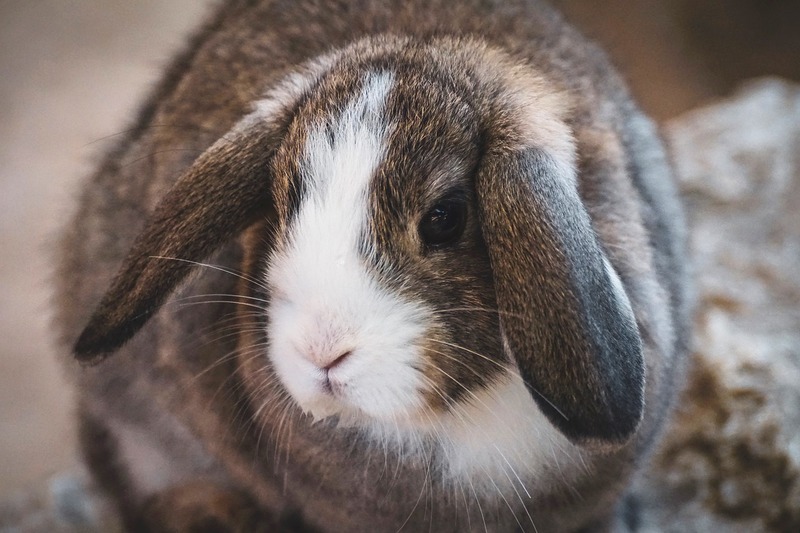 RHD stands for Rabbit Haemorrhagic Disease; it is also sometimes known as VHD (Viral Haemorrhagic Disease) or RCV (Rabbit CaliciVirus). Whatever it’s called, it’s a really unpleasant disease and is usually fatal. In recent months, the disease has been in the news as a new strain (RHD2) has recently arrived in the UK. It’s a virus, technically part of the Calicivirus family. It’s a pretty tough virus too; it’s able to survive being frozen and remains in an infective state for up to 3 months at room temperature! As a result, it easily spreads from wild to pet rabbits, being carried on clothing and shoes, or even hiding away in hay or bedding. This means that all bunnies - even house-rabbits - are potentially at risk. Can I calm my dog down by having him neutered? This is a really common question, and (as usual…) the answer isn’t straightforward. 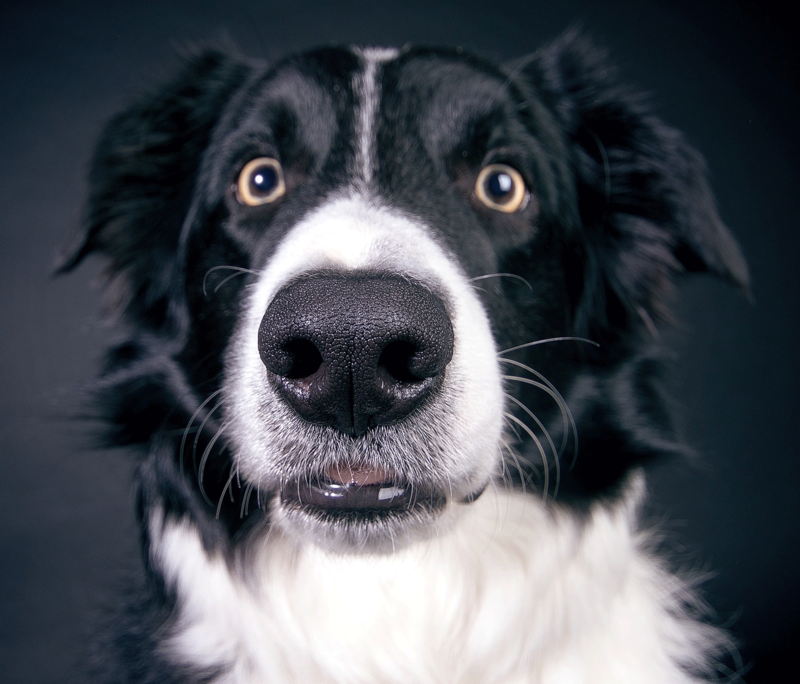 In general, however, neutering will have no effect on your dog’s personality, but it may influence his mood and make some behaviours more or less likely. 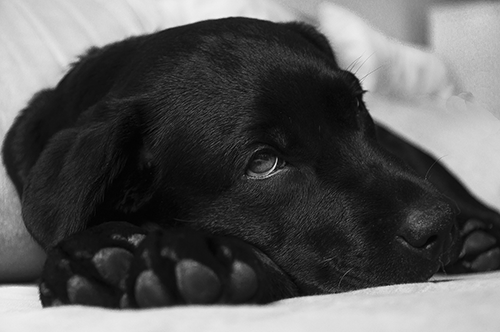 Castration (surgical neutering for male dogs) involves the removal of both testicles. 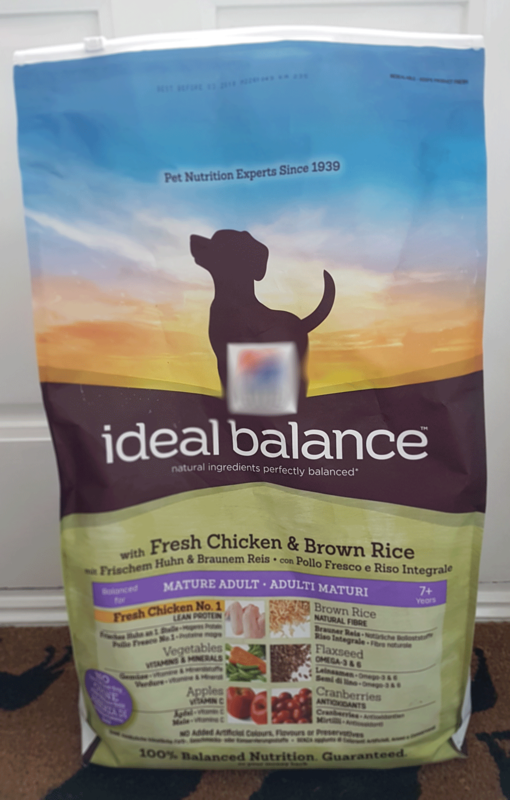 This obviously eliminates the dog’s fertility (as he can no longer make sperm), but it also stops him from making the male hormone, testosterone. Testosterone has a wide range of effects, including producing of secondary sexual characteristics during puberty (such as a deeper bark, increased muscle mass, bigger bones, and larger head - just like in humans!). However, the effects of testosterone on behaviour are much more subtle. 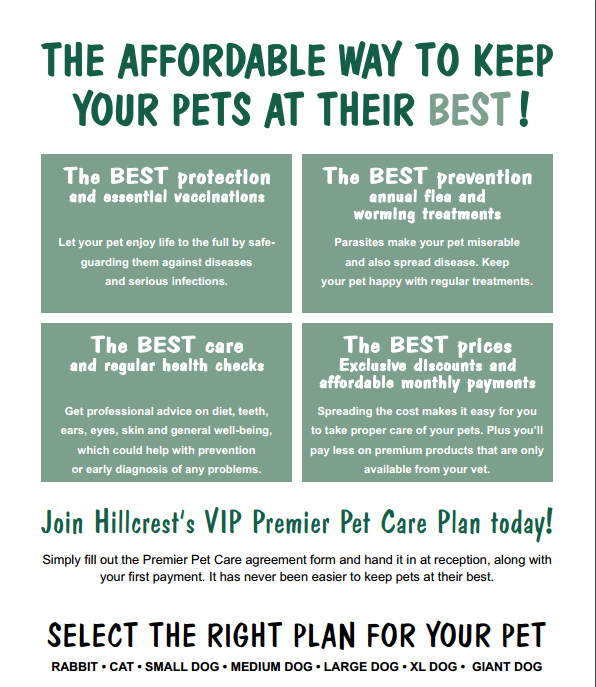 A huge THANK-YOU to all our amazing clients for the 'Pet plan Veterinary awards' nominations. 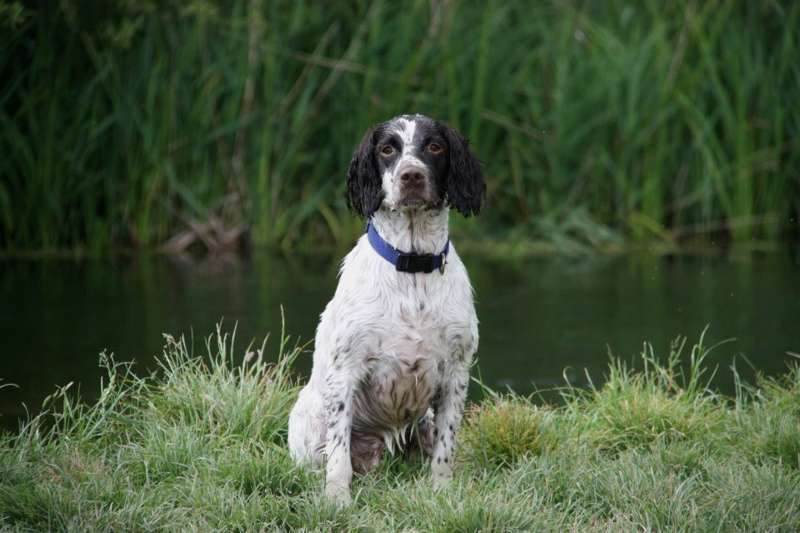 Take your Pets PAIN AWAY with a Revolutionary new DRUG FREE approach to Osteoarthritis. Please contact Hillcrest for further information.